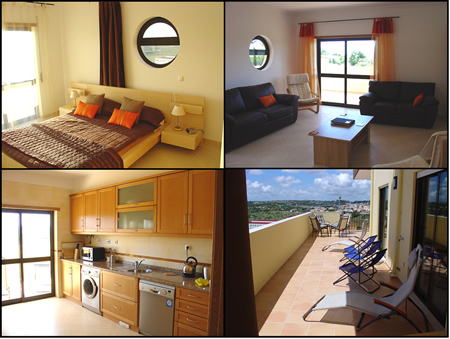 Our modern four bedroom apartment is located in the beautiful setting of Lagos on the Algarve coast in Portugal. Sleeping up to 8 people, our modern apartment is ideal for groups or families looking for a relaxing holiday or a golfing trip. 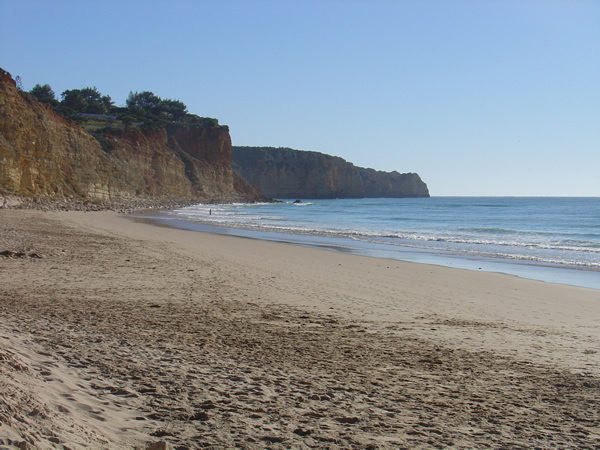 With several picturesque beaches within easy reach, 16 golf courses within 30 kilometres and easy motorway access, the apartment is ideally situated for all that the Algarve has to offer. Please click on the links to the left of each page for more information about our apartment, its setting and availability for rent. 16 golf courses within 30 kilometers, with the closest course (Boavista) just 3 minutes away. 10 minutes walk to Lagos Old Town with its dozens of restaurants. 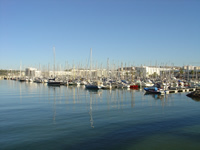 10 minutes walk to the beach at Porto de Mós, several others within easy reach. 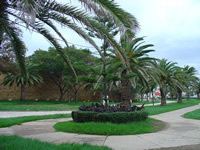 15 minutes walk to Lagos marina. Less than 15 minutes drive to the new Algarve Motor Park, host to several high class motorsport events.